After nearly a month of deliberation, Colorado Gov. John Hickenlooper is expected to take action Wednesday on a handful of controversial bills that remain unsigned, including a measure to increase the amount of energy that rural electricity associations must draw from renewable sources. Backers of Senate Bill 252 are optimistic Hickenlooper will sign it into law, but the governor’s office insists that a final decision won’t be made until Wednesday morning. A small signing ceremony and press conference at the Capitol is possible around lunch time Wednesday. So far this month, Hickenlooper has signed nearly 100 bills into law, many of them at public events that have taken him to 22 Colorado counties. But he has taken his time mulling over four final bills, including S.B. 252, which would require rural co-ops with more than 100,000 meters, and utilities that generate and supply electricity on behalf of member co-ops, to get 20 percent of their electricity from renewable energy sources by the year 2020. 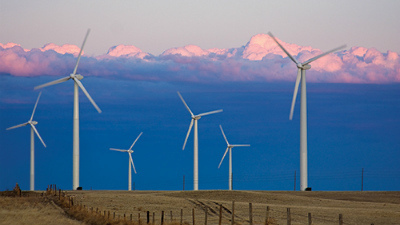 Since the end of the legislative session, Hickenlooper has met with interested parties on both sides, from the wind turbine manufacturer, Vestas, to Tri-state Electric Generation, the primary opposition to the measure. The bill also would allow the cooperatives to charge more — 2 percent of a customer’s bill instead of just 1 percent now — to pay for the new power source. Hickenlooper has been considering a veto. Suddenly under fire from conservatives angered by his support for gun control and much of the Democratic legislation passed during a blockbuster legislative session, as well as by his recent decision to grant a temporary reprieve to Chuck E. Cheese killer Nathan Dunlap, Hickenlooper is viewed by Republicans — rightly or wrongly — as increasingly vulnerable heading into his reelection bid next year. But vetoing legislation prized by environmental groups, a constituency the governor alienated throughout the session by opposing numerous proposals to tighten rules and regulations for Colorado’s oil and gas industry, would have amounted to a final declaration of war with an important piece of the Democrat base, not to mention the bill’s two sponsors, House Speaker Mark Ferrandino and Senate President John Morse. Republicans opposed the legislation outright. On Tuesday morning, knowing a decision was close, Rep. Jerry Sonnenberg, R-Sterling, issued a statement ramping up the pressure on Hickenlooper and noting that the bill would become law even without his signature by the end of the week. Conservationists, meanwhile, are optimistic about the bill being signed, which would mark a big victory. 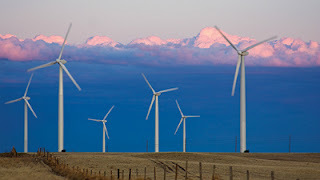 “The Koch brothers are spending millions of dollars fighting in state legislatures to roll back these new renewable energy standards that are being passed,” Conservation Colorado’s Pete Maysmith told FOX31 Denver. The other bills that will likely be acted on Wednesday include: Senate Bill 251, which would allow undocumented immigrants to get Colorado driver’s licenses; Senate Bill 25, which would make it easier for firefighters around the state to unionize; and House Bill 1020, which would require the forensic testing of all evidence collected during investigations of rapes. Hickenlooper has until Friday to sign or veto all remaining bills; without any action by him, they all become law. But Hickenlooper is headed to Park City, Utah on Friday to address a political summit convened by GOP presidential nominee, Mitt Romney, leaving Wednesday or possibly Thursday as his final opportunity to take action on outstanding legislation.